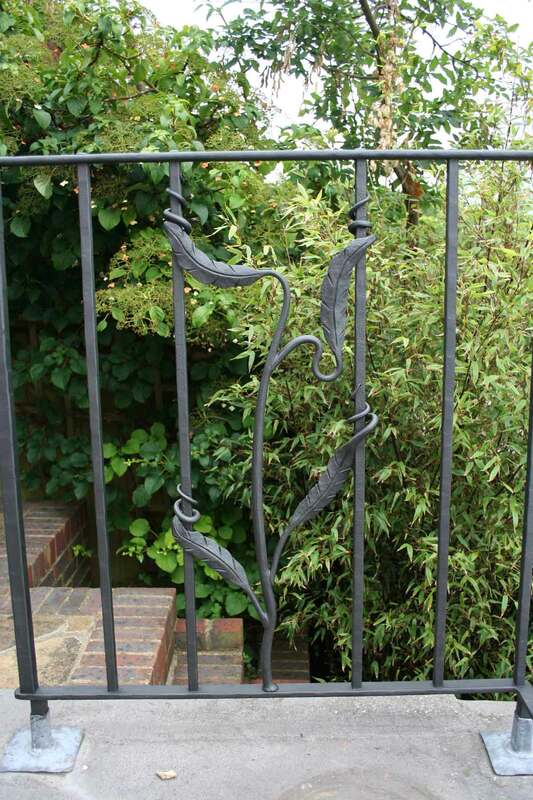 Picture of a detail section of an organic forged Balcony totalling 8 meters in length, using a leaf technique with a tapered wrap for joinery. Finished in slate grey. Hand made by Andy Quirk and Pete Myers.